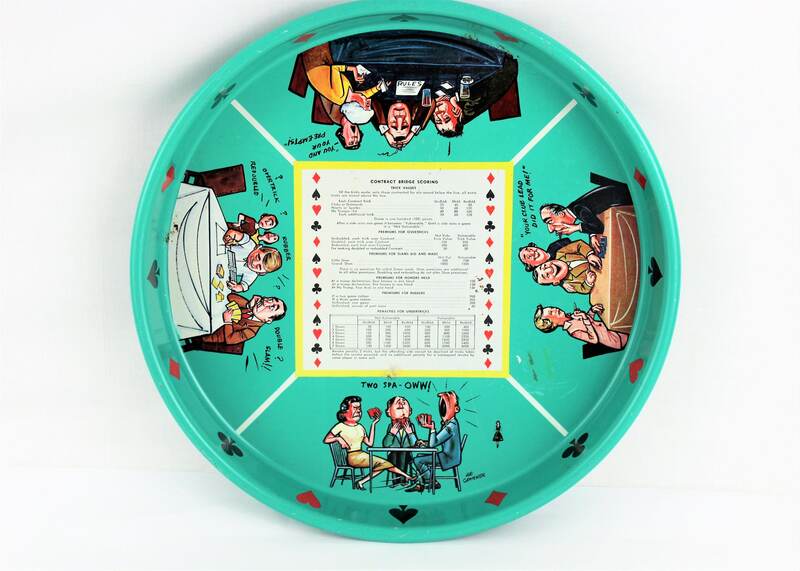 Retro 1960s Joe Carpenter scenes and bridge scoring rules on the metal 13” serving tray. 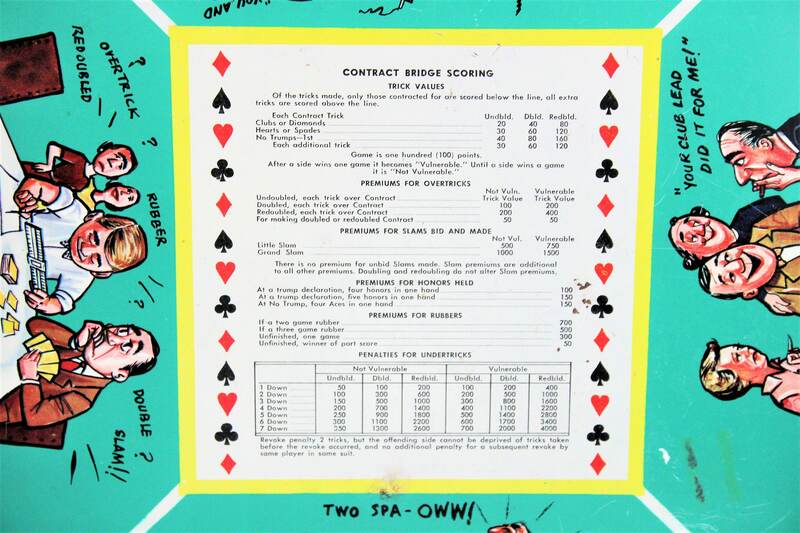 The four scenes of card play surround a white square at the center of the platter which shows the rules for contract bridge scoring. 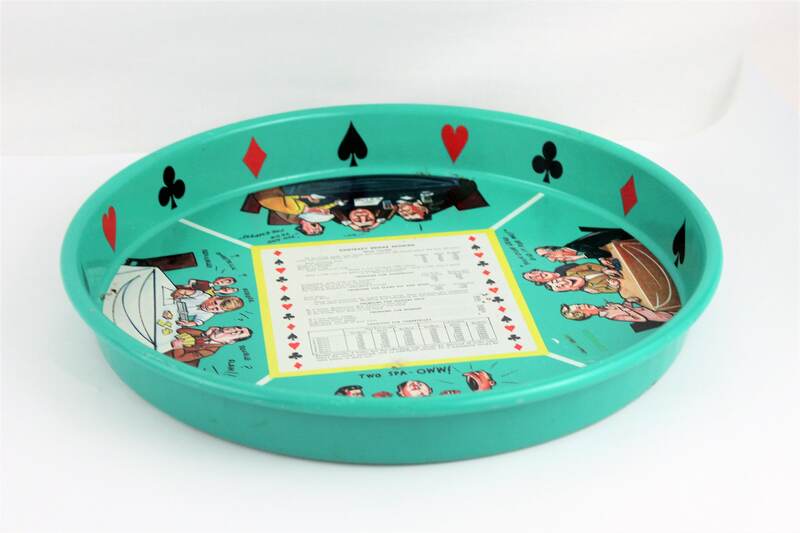 There is a red & black pattern of hearts, spades, clubs and diamonds along the inside of the tray. Charming tray for any type of card party! 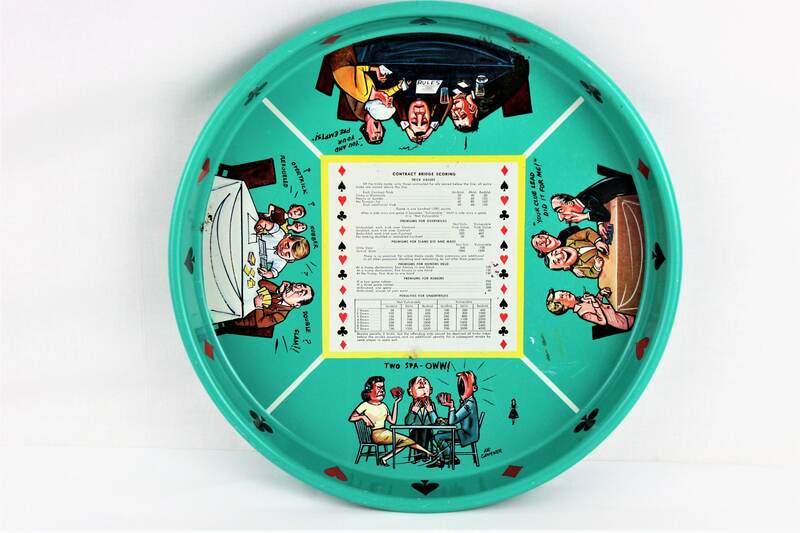 During the 1960s, the famous New York City artist Joe Carpenter was known for depicting these types of humorous scenes. 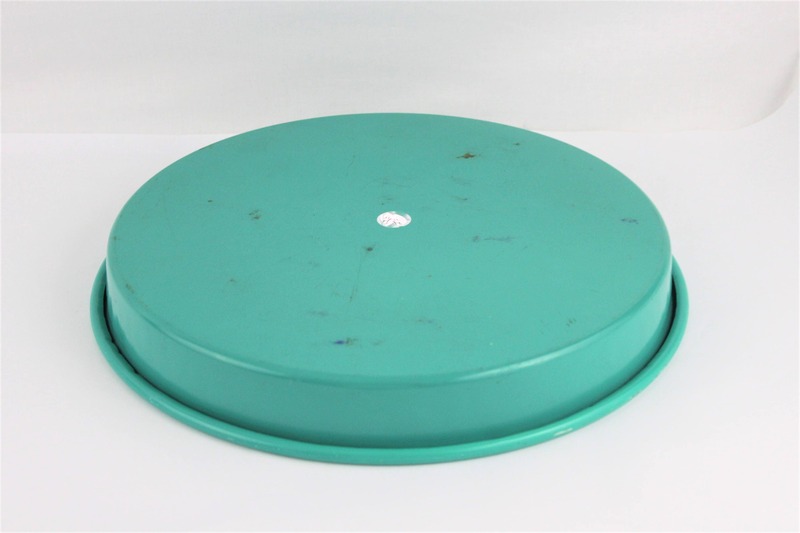 Measures: 13” diameter, 1 ½” deep. Condition: This item is in good vintage condition with some wear and minor paint missing consistent with age.